*This post is brought to you in collaboration with Spriggy. Teaching your kids all about money and finances is a life skill that certainly needs to be taught and practised from the outset. In a world ruled by money, helping kids master the skills needed to navigate a lifetime of financial know-how, is undoubtedly wise. Your child's financial education can effectively begin as early as the preschool years, and it's a continual process of learning that will grow in complexity along with your child. With a bit of educational investment and practical application from day one, the bank accounts and financial knowledge of your kids should flourish together. In our digital age, grappling with the basics of money has become increasingly complex when it comes teaching kids all about spending and saving. With children regularly glued to screens via their games, apps and devices, the concept of a cash-based economy has become a bit of an obscure one to both teach and apply, for parents and their kids. Just think on all those times your kids have purchased apps and games online, never really understanding that digital money is indeed, real cash. It's difficult for kids to grasp, plus, the actual spending of money by kids is near-impossible for parents to control. Society in general has become increasingly cashless in recent times. (I know that I personally rarely carry cash these days. You?) With the rise of online stores and popular electronic payment methods, old fashioned notes and coins seem to have slipped in significance, making the concept of cash, the value of money and saving skills, that little bit harder to pass-along to our kids. Digitalising your kids' pocket money, savings and spending habits has too many perks to ignore. 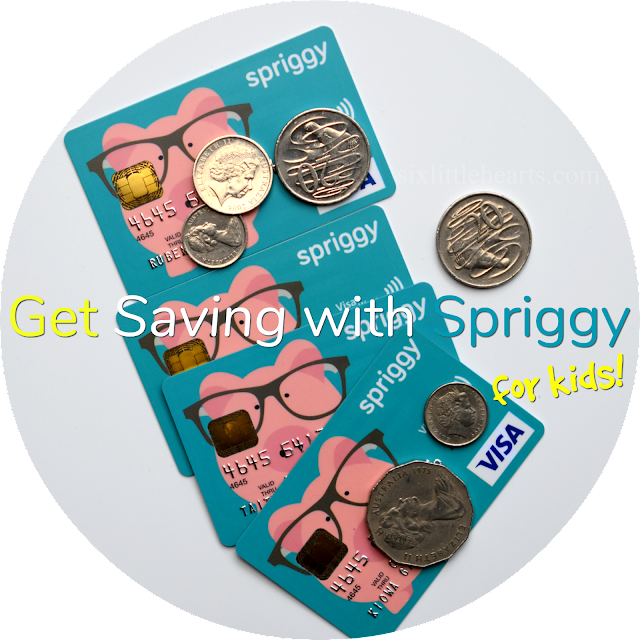 Spriggy is a modern way to grow your kids into both enthusiastic savers and savvy spenders while giving them a valuable grasp on their financial skills. The Spriggy setup enables you to teach your children, (from the ages of 8-18), about managing their finances electronically, while giving you as their parent, ultimate control over your child's spending and saving habits - also electronically. It's easy and stream-lined and all you need to start is the Spriggy app where you can order your Spriggy cards for your children. To use Spriggy, parents just link their debit card or bank account to their Parent Wallet in the simple to use Spriggy app. From here, you can choose a one-off transfer to your child's Spriggy account, or opt to pay regular scheduled pocket money. 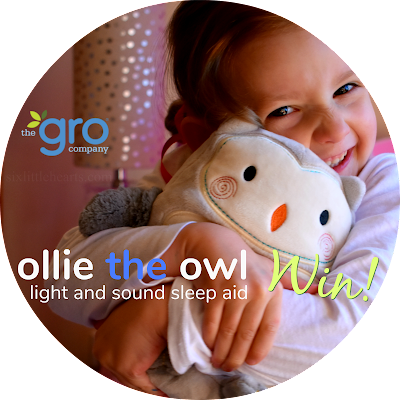 Funds are then instantly accessible to your child via their Spriggy card in any store that accepts Visa. Alternatively, keep the funds banked to assist your child to reach their savings goals. 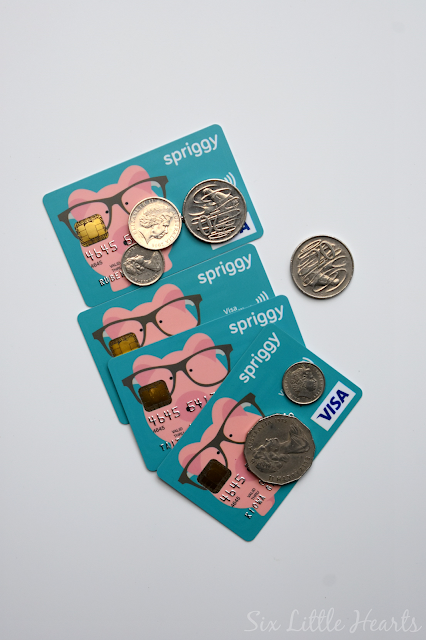 Perks of the Spriggy system include a unique option for parents to instantly lock and unlock their child's Spriggy card, ensuring funds are never accessible to young spenders without your prior approval. You can also see exactly what your child's spending history is, as well as view their savings achievements within the one easy app. 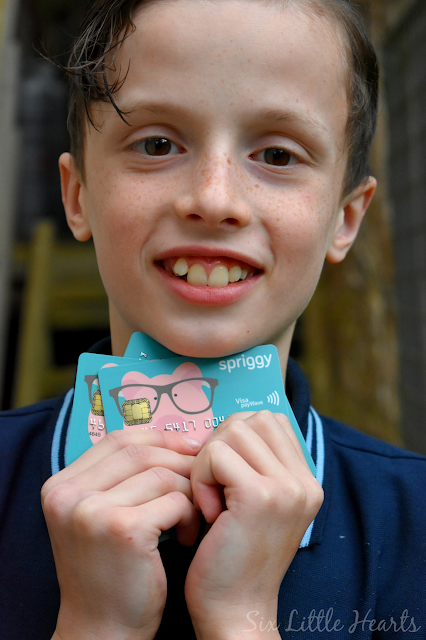 Kids can access their own version of the Spriggy app too which provides them with all the same insights, (minus access to their parent's online wallet! ), and this feature can really inspire their interest and understanding of all things financial. From this updated way of managing finances, kids can grasp a better understanding of the value of money and at the same time, enjoy the independence that comes with the Spriggy way. Spriggy is a great money learning tool and application and it's easy to apply and set up. You can learn more about Spriggy, or apply via the Spriggy website. 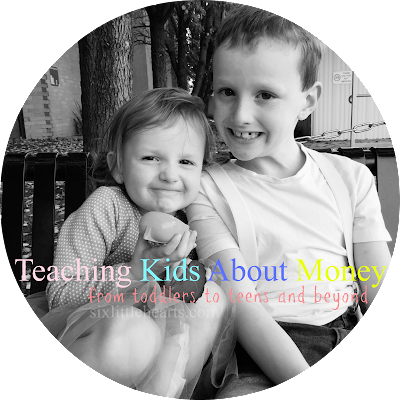 How do you teach your kids to save? How do you manage your kids' pocket money? At What Age Should Your Child Have Their Own Mobile Phone? The Gro Company Ollie the Owl Review and Win! This sounds really interesting. My seven-year-old is getting more and more interested in money. I think she'd be interested in this. 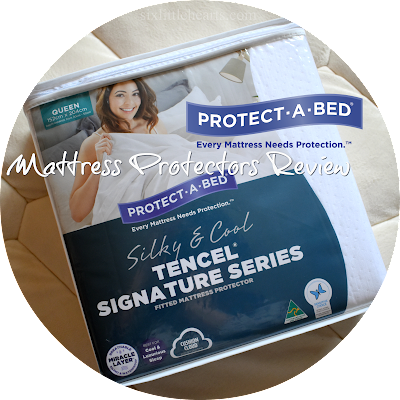 This is such a great system Renee and there are so many easy ways to use Spriggy. 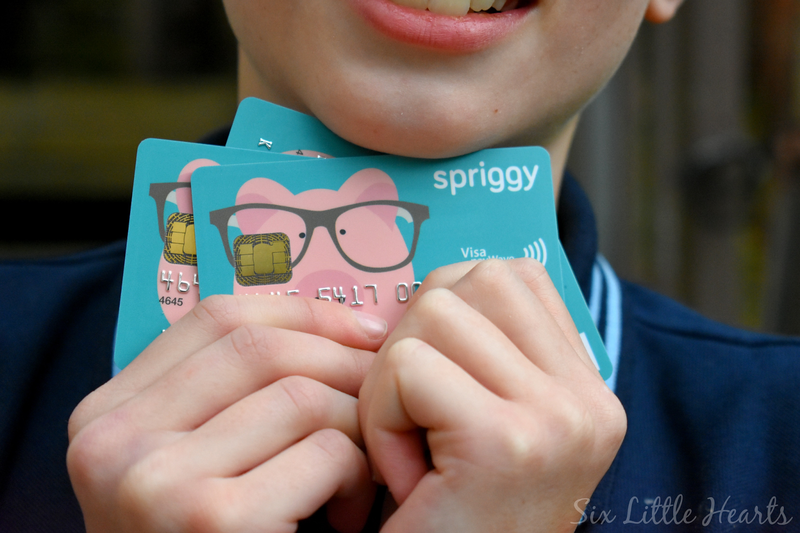 Pocket money is so simple with Spriggy for one thing! 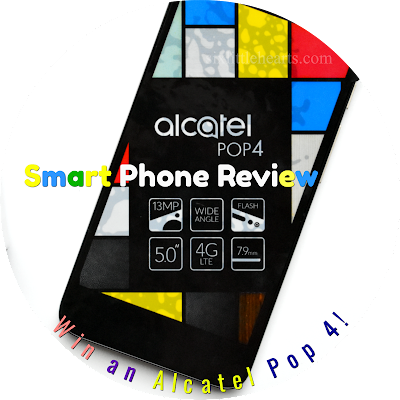 This system is a must for 8 plus ages. It's made juggling all the cash kids have lying about far more useful to everyone. The joy kids get from Spriggy is fantastic! My 4 year old will join the plan as soon as she's able. Cheers! I hardly have cash on me these days. 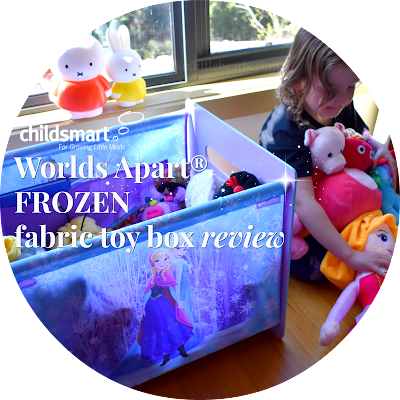 Sounds like a great idea and I think my daughter will love it! 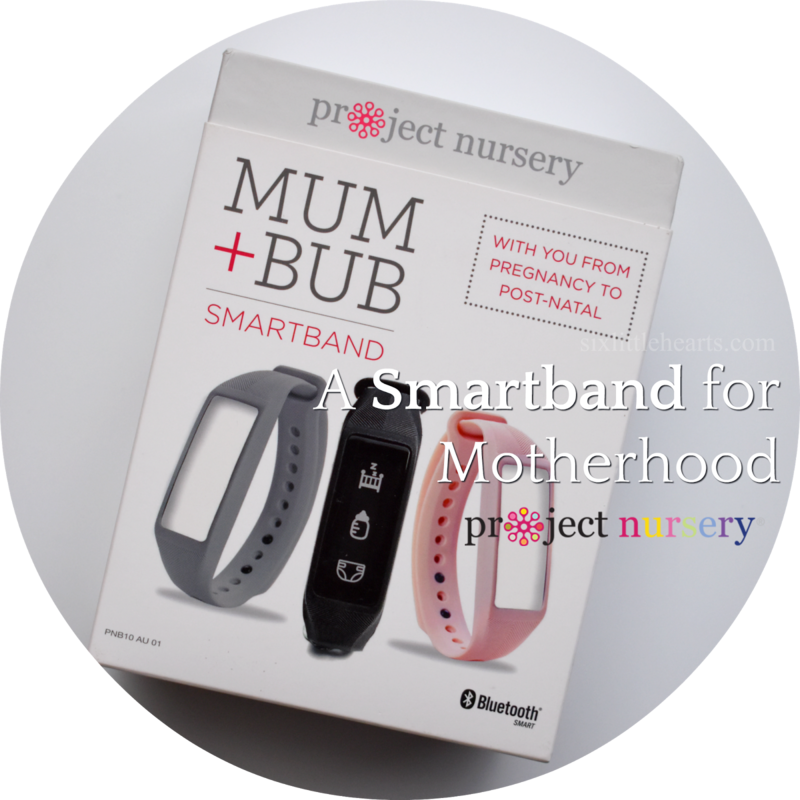 This looks like such a great resource for parents. I hope this is still around in a few years time when my boy is old enough to understand it.